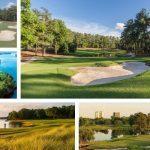 As always at this time of year, late July and early August is a brilliant time for the world of golf; there seems to be a nonstop cycle of exciting golf tournaments, culminating at the PGA Championship. 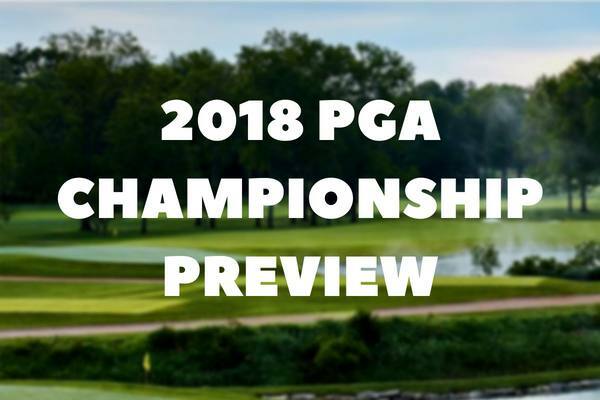 The USPGA has been preceded by the WGC-Bridgestone Invitational, an event which sits just behind the majors along with the other three WGC events, but it’s time once again for a star-studded field to challenge for another major. Where to watch the USPGA? A strong identity, heritage and ultimately a definitive personality are what have been missing from the PGA Championship in years gone by. The tournament is naturally compared to the other three majors and in comparison, often seems to fall short…and perhaps rightly so? 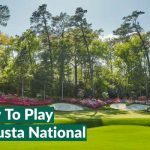 Played every year at Augusta National, The Masters holds tradition and etiquette right at the top of its checklist, getting it right year after year. The course is a huge factor in making The Masters such a special tournament, iconic holes, immaculate grounds and well-versed staff make it unforgettable and a venue you are desperate to return to. Of course, being the US Open, the tournament is always played in America so by name it has identity by location. However, the second major of the year is notorious for presenting the elite players on the tour with their toughest challenge of the season. Tough layouts at courses like Erin Hills, Shinnecock Hills and Pinehurst are all fine examples of the tournaments difficulty, with next year at Pebble Beach this doesn’t look set to change. As the only major championship outside the US, The Open Championship is again somewhat defined by its location, however that’s not all. With the first tournament being played in 1860 at Prestwick, it is also the eldest of all the majors, administered by the R&A and regularly returning to the ‘Home of Golf’. Which brings us onto the host venues; The Open is a breath of fresh air, literally, for many with typical Open conditions being strong winds and intermittent rain across many of the UK’s best links courses. Now we’re back to the USPGA, a tournament which struggles to match the heritage, tradition and the overall hype linked to the other three majors, but why? Format – Up until 1958, the major was officially a match-play event, could reverting back to this format help create a sense of individuality? 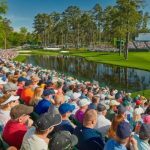 Venues – While many of the host courses in recent years have hosted US Opens & Ryder Cups and are brilliant courses, they simply aren’t as well known as the likes of Augusta, Pebble Beach or St Andrews. One thing the PGA Championship definitely does not struggle with is a decent field, you can be sure that every fit golfer will be itching to get out there on Thursday and add this title to their name, whether they’ve won it before or not. At the end of the day, this is one of the four majors which makes it one of the four biggest tournaments on the golfing calendar, so will make for a great weekend of golf. We’ve discussed an exhilarating schedule on both the European and PGA Tours leading up to now, so lets take a look at who is the favourite to win at Bellerive Country Club. The defending champion is coming off a win at last week’s WGC-Bridgestone Invitational and will be oozing confidence going into the weekend. Spieth hasn’t won an event since his Open triumph last July and the USPGA is the only major missing from his trophy cabinet, could he finally clinch his career grand slam this weekend? Has been hit and miss in the majors this year but won the Canadian Open a couple of weeks ago and finished in T3 last week, the World Number One will be up for this. There is no doubting that McIlroy struggles with consistency, by his own admission, and will be wanting to end his four year major drought – let’s hope it all clicks for him. Has been knocking on the door for so long now and is due a major. I’m expecting Fleetwood to have a huge Ryder Cup so perhaps this could be the start of a hot streak. How can we not include Tiger? At 28/1 I think he is more than worth a few quid, a comeback win here would do his chances to be at Le Golf National as a player next month a world of good. Bellerive will host the PGA Championship for the second time in 2018 but the course has also hosted a U.S. Open (1965), a U.S. Senior Open (2004), a Senior PGA Championship (2013) and a BMW Championship (2008). For many players on the tour they will be playing Bellerive for the first time and they will be met by some pretty extreme conditions; Missouri has witnessed record breaking temperatures, much like our UK heatwave, and this will definitely come into play throughout the weekend. So I never thought I’d be writing this, but you cannot watch the 2018 PGA Championship on TV this weekend. This time last year we were preparing to watch the tournament on the BBC for the first time since taking over from SKY. However this wasn’t as seamless a change as golf fans originally thought with most of the action behind the red button and dysfunctional commentary from the UK studio. However this year there will be no television broadcast with the only way to view the action is via the UK based sports network, Eleven Sports. Usually a subscription based service, they are offering a FREE trial for 7 days allowing fans to watch the golf on their site, Facebook page or via their app. The USPGA has always been the fourth major in the golfing calendar, at times it was even played directly after The Open Championship, you can imagine how that went down. But in 2019 it is scheduled in for May 16th and will sit between The Masters and the US Open. This was part of a huge revamp by the PGA Tour and they hope it will help the tournament’s profile as well as putting more emphasis on the back-end of the FedEx Cup. So, if you want to get to a major championship next year, free up some time in May and head to Bethpage State Park so a historical PGA Championship.